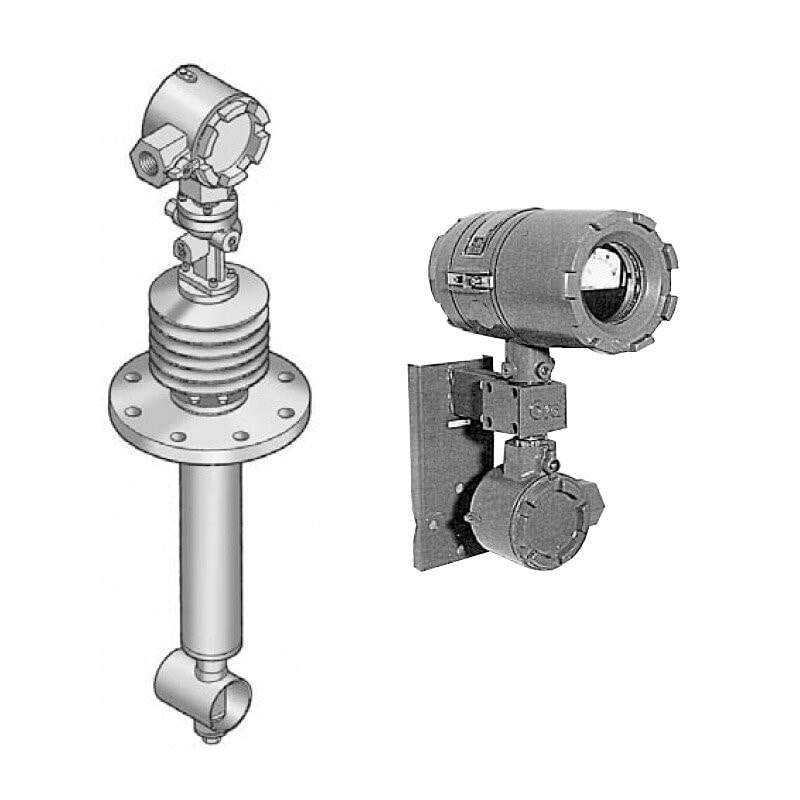 Developed for measuring gas flow in large size pipelines, the DELTA Model VF includes a probe equivalent to a 2-inch DELTA vortex meter which is inserted in the pipe to determine the actual flow rate by measuring a representative flow velocity of the process fluid passing it. A thermistor sensor is used for vortex detection. Insertion Thermistor Type Industrial Vortex Meter for Gas Measurement in Large PipelinesDeveloped for measuring gas flow in large size pipelines, the insertion DELTA Model VF includes a thermistor sensor for vortex street detection and a probe equivalent to a 2-inch DELTA vortex meter which is inserted in the pipe to determine the actual flow rate by measuring a representative flow velocity of the process fluid passing it.